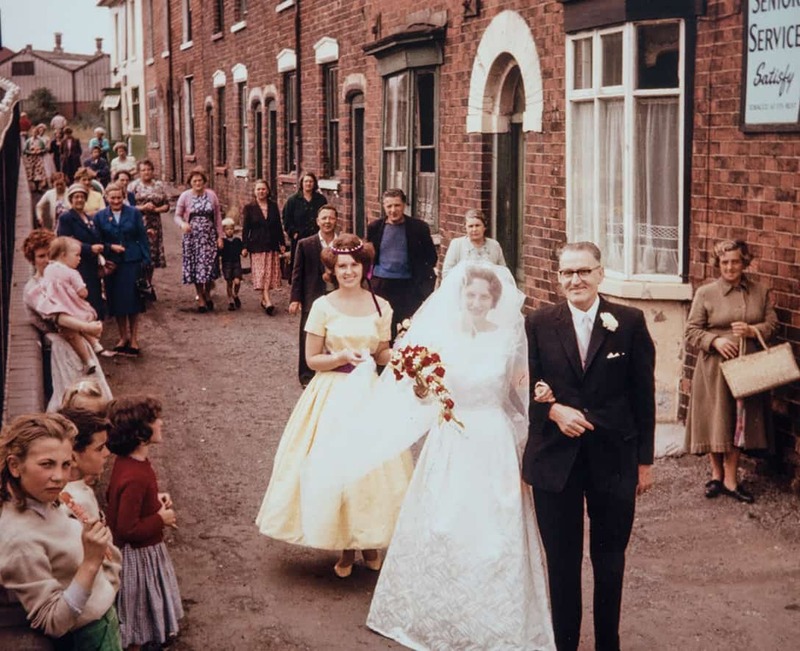 Extracts of a recorded conversation with life-long Oldbury resident Ruth Collins. 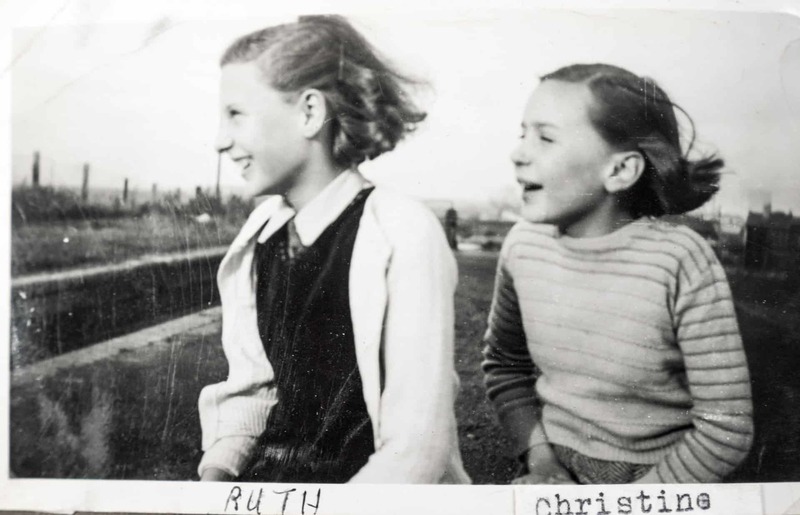 Ruth was born in a Toll House and went on to care for both her parents and her husband. I was born in a Toll House by the canal. The house was getting on for a hundred years old when I was born but only two of the families had ever lived in the house before us and the house eventually, it was set on fire so it was pulled down. That was after my father died. So there were only three families ever lived in the house in a hundred and fifty years. 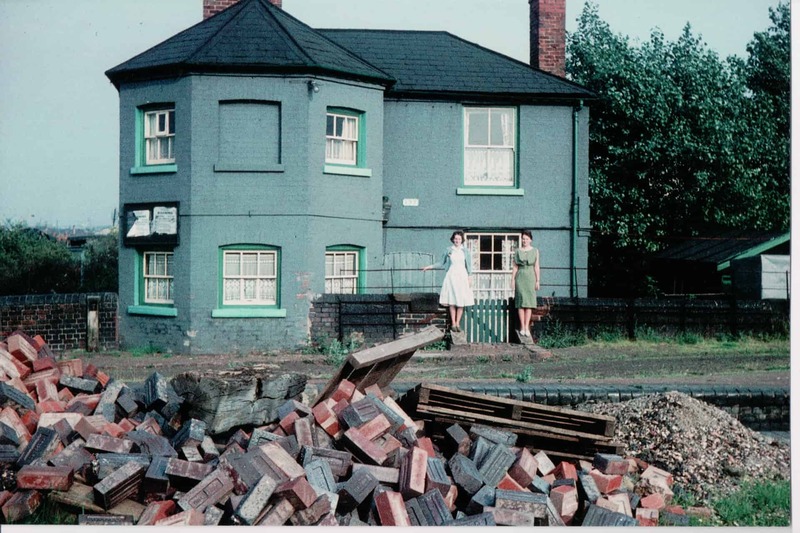 Ruth and her sister Christine outside the Toll House at Brades Hall Locks on the Gower Branch in Tividale, Oldbury where they were both born. That was my bedroom with the two windows over, because that was the Toll Office itself there and that was our living room and we had a front room but it faced East, so we didn't use it a lot because it didn't get any sun. That was my Mum and Dad's bedroom and our Christine had the bedroom over the front room, but my bedroom, it was far nicer, I will admit. I mean, we shared it at times but I just loved my bedroom, I thought it was lovely. I wanted actually to be a nurse, but my Mum persuaded me not to be. She said I cared too much. But my Mum was ill when I was 12. She was diagnosed with Cancer and she fought very hard to stay alive and she said 'I don't want to die I want to see my children grow up'. I was actually 17 when she died, but my sister was only 14, and of course she'd been really ill for five years and it was a difficult time. For years and years after she died people would come to me in the village and say 'oh your mum was a lovely person'. She just had an aura, an ambience. Very peaceful. Always... that smile was typical. I mean, they'd been married six years before I was born, but I mean definitely they wanted children. So I was a delight when I came into it. I was well looked after. There was just something very special about her. I think she was burnt quite badly when she was a child. In fact, I once met the person who struck the match. I was at another aunt's house and it was after my Mum had died, but she said 'I was the one that struck the match that burnt your Mum'. They were playing with matches. My Grandad had a field, because he was a builder and an undertaker. Because if you were, in those days, you'd have carpenters and so you'd make coffins. My Mum used to even sew little Forget-Me-Nots on the pillows if they were for children. So family were involved, but they had a field which eventually my Grandad built houses on. They were playing in the field and somebody must have had matches and she dropped the match and it set my Mum's clothes on fire. I mean the skin on her face and a neck and down one side, the skin was all stretched and things. When she had her mastectomy, they actually put some extra skin in to give her extra movement, she hadn't got full movement in her arm. But they did do that for her. But she never bore malice or anything against anybody. 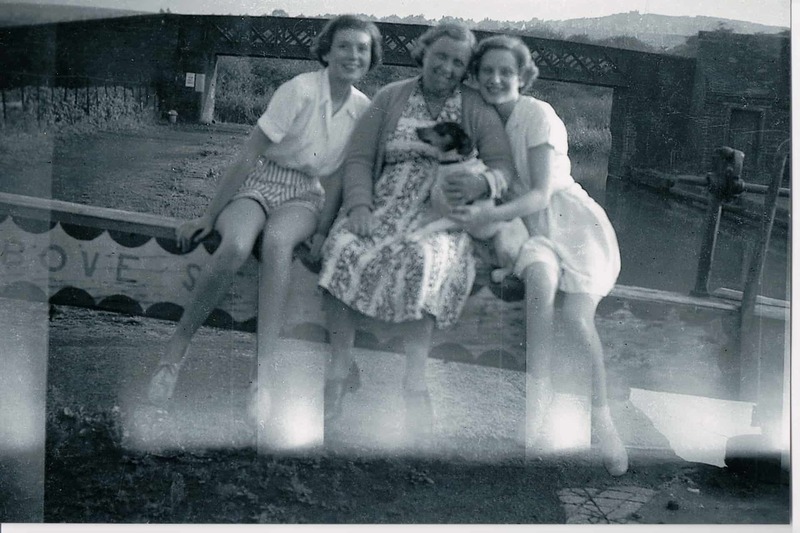 Ruth with her Mum, sister Christine and pet dog, Patch, taken mid 1950s. Patch, that one was [points to the family dog in the photo - above]. We had Prince. Prince actually saved my Dad's life. You had to keep lock gates free of ice, because the ice would actually damage the wood in the lock gates. So he had to break the ice on each side of the lock gates so it wouldn't damage it. And he'd done that and he was going along the lock side, the one right outside our house and the snow had drifted over the edge of the canal and he stepped on it and he went down and he put his arms out, but the ice wasn't strong enough to hold him and of course he'd got Wellingtons on and they were filling with water and he was shouting and shouting and the dog was barking and barking. My Mum just thought it was the ice boat that had gone past on the top canal and she didn't really take a lot of notice. She thought, 'well he's been barking for a long time'. When she went out the water was right up to there [indicates water level being high]. 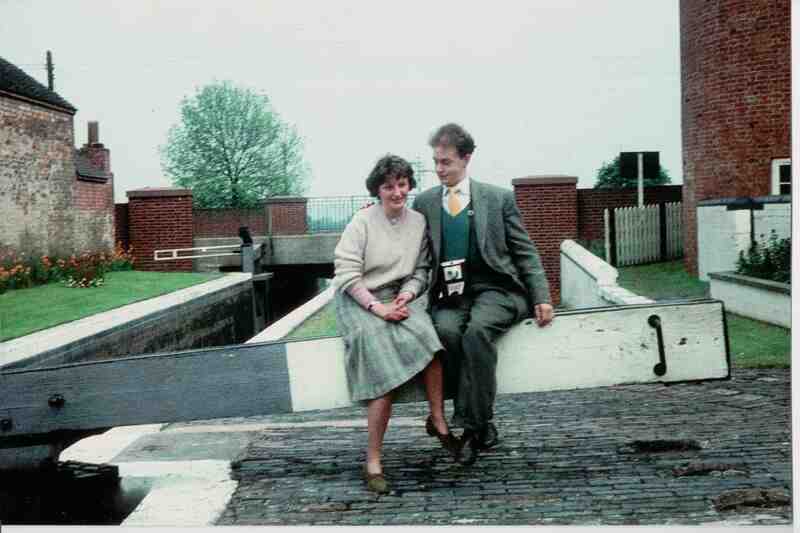 But she managed to clear a space so that he could hold onto the side of the canal on the side of the lock and there was somebody mending a lorry just down the road and she managed to get him to come and help pull him out. But I mean, we didn't have hot water, so he couldn't have a bath or anything like that to warm him up, but he didn't have a cold or anything afterwards. He said he really did have that stillness come out of him thinking 'this is my last breath'. That was our Prince. She was lovely Prince was. Well Patch was alright, but she wasn't quite as nice as our Prince! Ruth with her husband, Conrad Collins. Ruth makes her way to her Wedding with her father, Will King. Well when my Mum died, my Dad, we needed to get away, he wanted to take us on holiday and somebody said that there was a Christian guesthouse at Barmouth and we went for a holiday. Because one thing about my Dad, he didn't earn very much money, but because the LMS [London, Midland and Scottish Railway] had a controlling interest in Birmingham Canal Navigations we actually got three free passes on the LMS every year. We always had one to London, one for holidays and one for somewhere else, but he also got quarter fares as well. So we were able to get the train to Barmouth. And when I was there, Conrad had gone because his friend was working there. He also knew the people who were running this Guest House as they had been members of the Congregation of the church he went to. We didn't really speak very much during the week, but when it came to it he said 'would it be possible for me to come and see you?'. I'd be 18 then. So he did come to see me and he didn't give up! I don't think his father or brother had ever met anybody quite like me. I think they were frightened of me in a way! 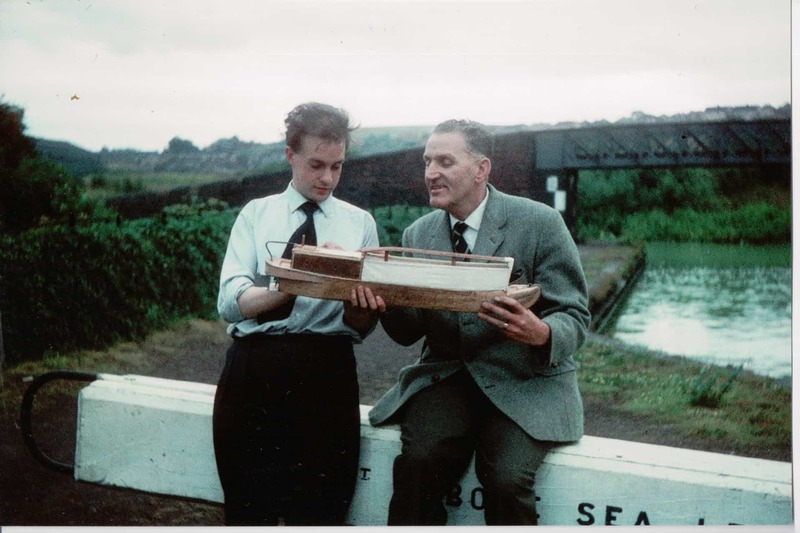 Conrad Collins shows his Father in Law, Will King, a model boat that he had made for him. 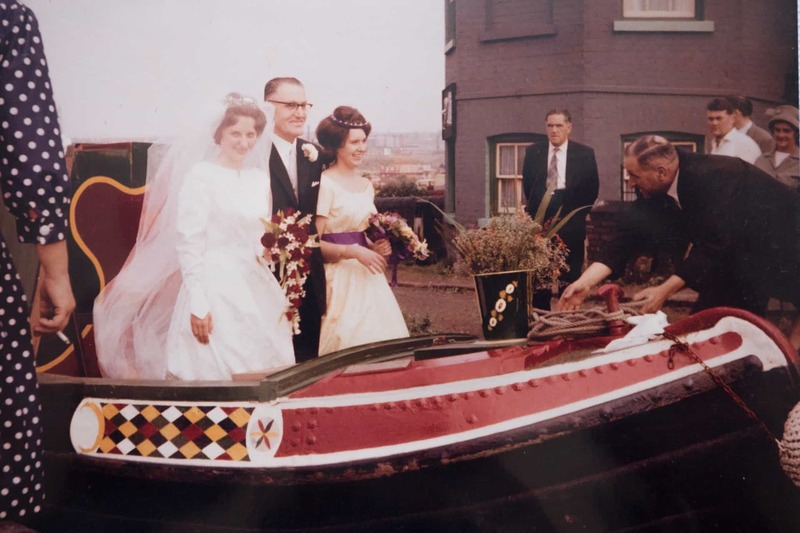 Some of Will's collection of Canal paraphernalia is housed with the Birmingham Museums Trust and his extensive photo collection appears under the 'Collections' part of this website. My Dad had a set of boats, but the canal boat didn't match the tug that he'd got, they were different sizes, but Conrad made a tug to match the size of the boat. So he got a pair. In fact, that one, it was in the Thinktank because a lot of my Dad's collection was given to the Science Museum. But then my Dad was ill, so I had to look after my Dad for several years and then he died and we scraped up enough money. My sister had gone to Canada and we got a cheap flight to New York and then went by Greyhound coaches to Toronto and then they took us round on a camping holiday. So we saw Niagara Falls and the bears in the woods and things like that in the forests, which was good. We came back and then we decided as a New Year's Resolution to start a family. It was a New Year's Resolution but Peter was born on the 6th of October and he was a week late, so I think it was the only New Year's resolution that ever worked! 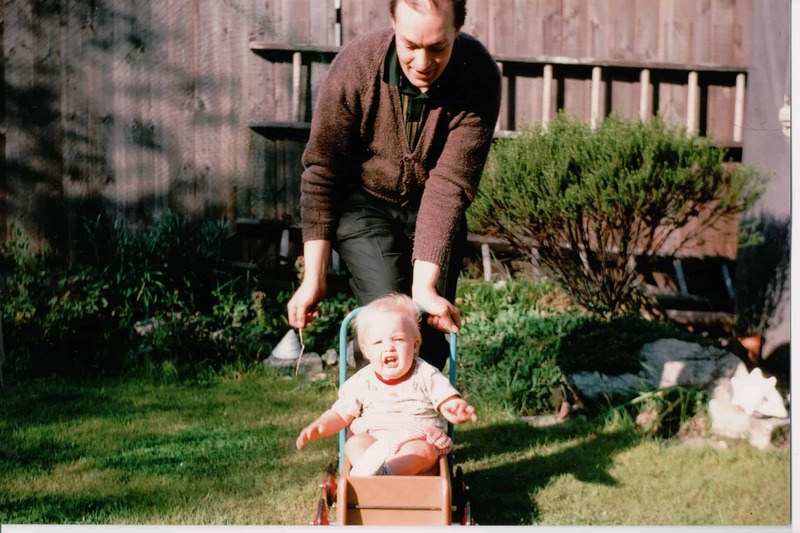 Conrad Collins with his son, Peter in the family garden, Oldbury, late 1960s. 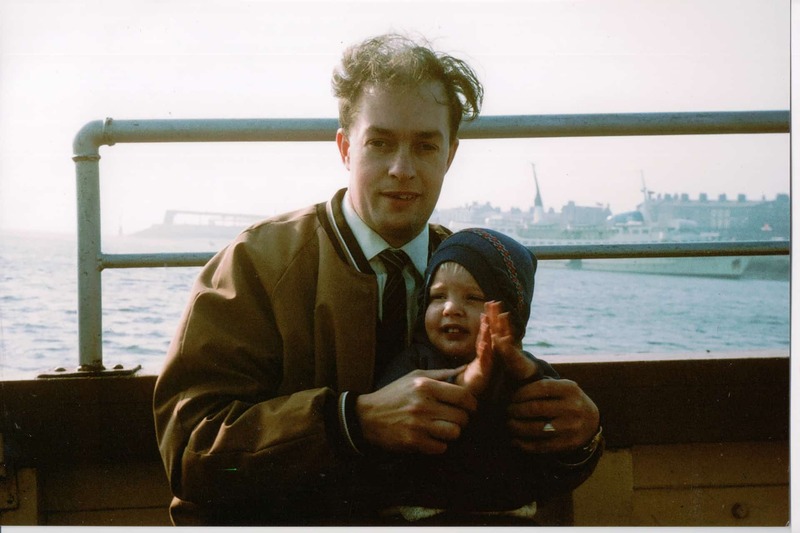 Conrad Collins and his son, Peter, on holiday together, late 1960s. But Conrad then began to have difficulty walking and it was when there was lots of things - hospitals were always on strike, the radiographers went on strike, the porters went on strike, you know, and he should have been admitted to hospital for tests but he just kept getting delayed. Our Peter was born in 1967 so it'd be about 1970 to something like '71, '72. Eventually he was admitted to hospital and the same night he was rushed to the Neuro Hospital and said that if he didn't have this operation he would become paralyzed, but nobody bothered to tell us that the operation paralyzed - and I knew as soon as I saw him, they said 'oh no, we'll get him to Oswestry and they do marvellous things there and they walk'. But I knew, you know, he couldn't sit up. We weren't given a diagnosis. Eventually they said that what it was, it was tumour which he probably had all his life, but as he grown, it had grown. But once he stopped growing it went on growing and it was very unusual because it was inside the spinal cord. Usually tumours are on the outside and press the spinal cord in, but this wasn't, it was inside pressing the spinal cord out. And you know it had paralyzed him. If they had found it earlier and if he'd had gone in at the right time, you know... it's all conjecture isn't it? Oh it was traumatic, because I mean, our Peter was at school, but he really was very young. He had his sixth birthday in hospital. They kept him [Conrad] in City Hospital for six weeks before they could get a place for him at Oswestry. And then when he went to Oswestry he was put in a room and there were cobwebs all hanging down and everything. And they said 'we've got no food for you because it hasn't been ordered! I mean, you arrived to that? It was devastating! I was working during the week, every Saturday and every Sunday we used to go to see Conrad. I used to tape all the 'Listen With Mother' stories so that Peter could listen to them on the way there, because he used to like those and we all stopped off at, not Oswestry - there's a castle just before you get to the hospital and we always used to have a little run. 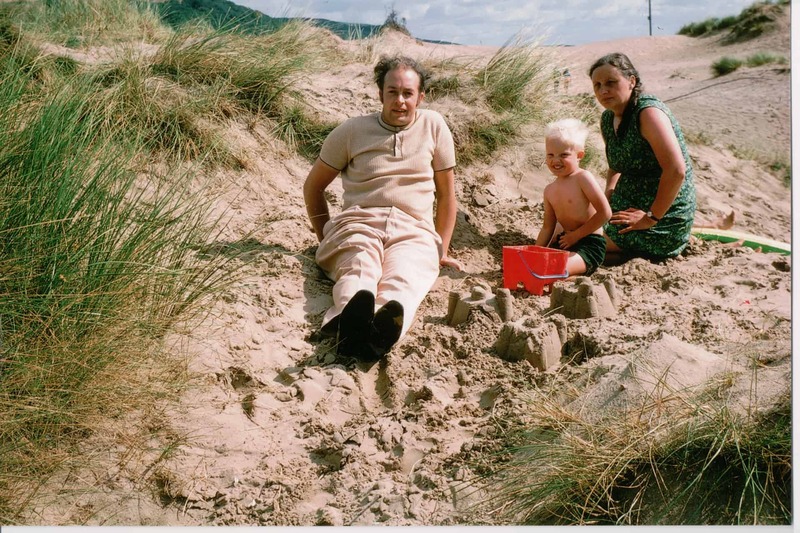 Conrad, Peter and Ruth on holiday, early 1970s. I looked after my mum, I looked after my Dad, I've looked after people since I was 12 years old. After my Dad died, we had a couple of years and then I had Peter. So, I mean, you know what it's like, if you've got a young child it takes a lot of your time, and then of course Conrad was ill! It gradually got worse, because his kidneys gave up and his heart began to fail and you name it, all his organs were going, and he was just bedridden for the last couple of years of his life. He should have died, but he wanted to live. And he did get to see our grandson. Well when I say saw him, he knew that he got his Degree, and he did get an Honours Degree, so that was nice, and he did know he'd got a job, which was important and he did get a good job. He was hunted by Goldman Sachs, so he worked very hard for it and he deserved it. But I have been in some very, very difficult situations. I feel I've been, you know, unfairly treated in a lot of ways, but that's life. I couldn't have a home help at the beginning[...] if it had been me in the wheelchair and Conrad was going to work, we could have had a home help, but because it was Conrad in a wheelchair and I was going to work, I couldn't have a home help. I did eventually, when my had a lump sum, I had a room built downstairs with the bathroom, because it made life a lot easier for us. But we never got any help. 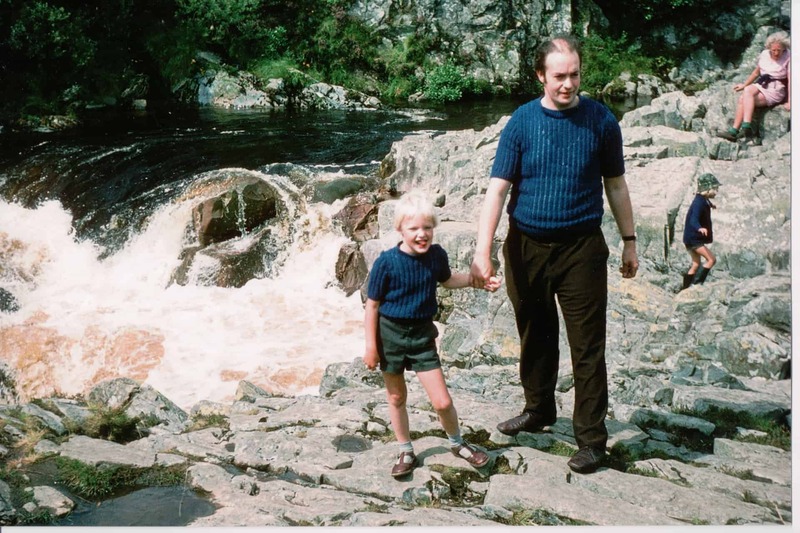 Peter and Conrad, probably at Betws-y-Coed, early 1970s. 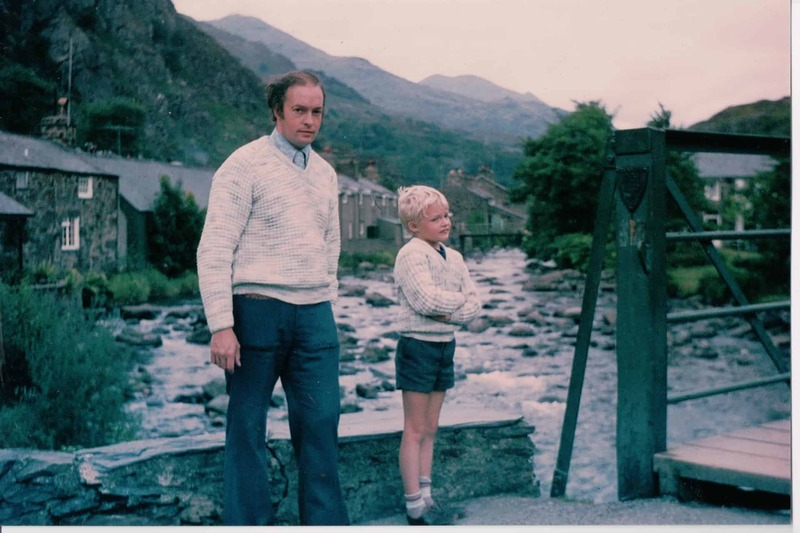 Conrad and Peter, probably at Betws-y-Coed, early 1970s. But when he was in hospital, I mean he was just so ill. And they asked Peter and I and we said 'well we don't want him just kept alive for the sake', because I mean, he couldn't even bear you to touch his little finger. He was in so much pain. The day before he died he actually said, he'd got to the point where he could hardly say a word, but he actually said 'I've had enough' and that was the first time he'd ever, ever said that and really, he didn't say much more after that. You know they give you morphine and things, but he died reasonably peacefully.